My experience with Fish and Tings was enjoyable. My favorite meal there by far was their well Oxtail and Rice and Peas. I also like that everything is fresh a very much worth my money. The most delicious Jamaican cuisine on the island, its no wonder that Fish N' Tings is one of Bermuda's most popular spots for authentic Caribbean food! 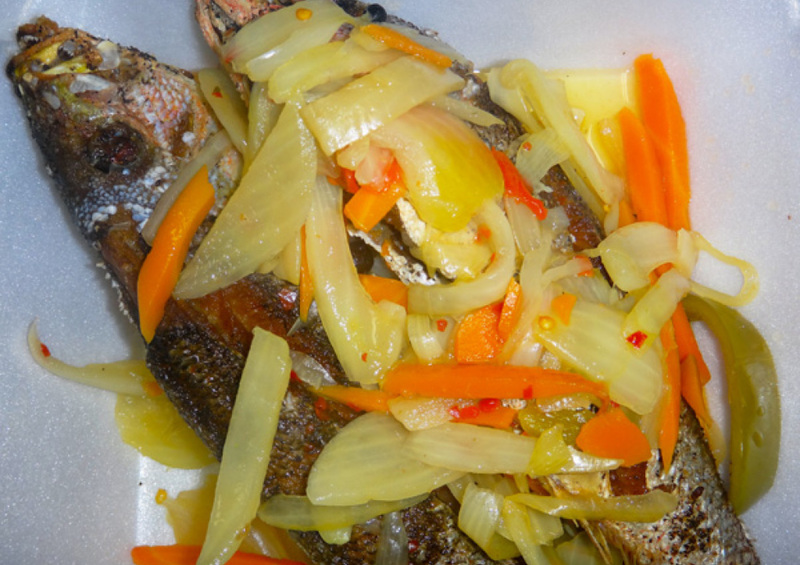 Located in the heart of “bakatown” (North Hamilton) on Angle Street, we offer a wide range of flavourful Jamaican dishes including oxtail, curried goat, jerk pork, cow foot and much, much more. Our extensive menu is one of the reasons our customers keep coming back! In addition to food, we also carry refreshing juices and an impressive selection of energy drinks for those who need a boost! 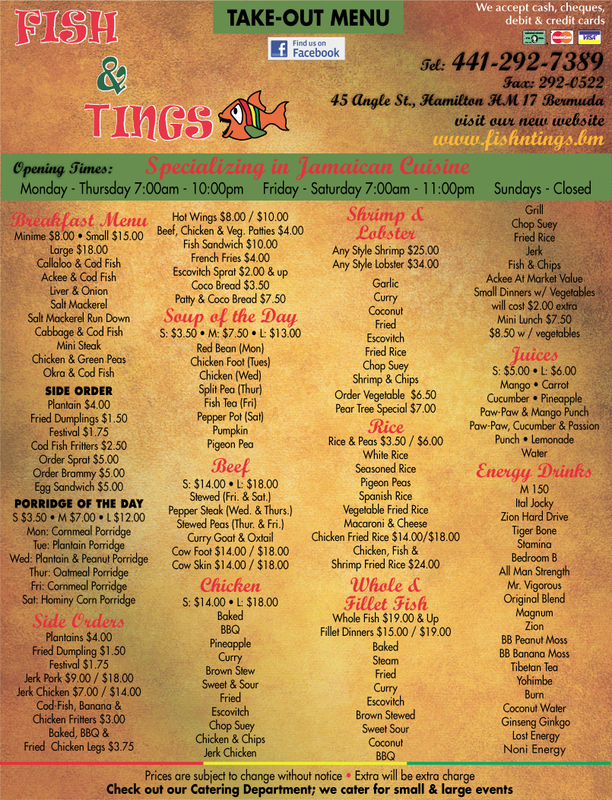 Open six days per week (Monday to Saturday) from 11am-10pm, Fish N' Tings is YOUR spot when you're craving truly authentic West Indian cuisine!